For us, the city of love is magical whatever the season. This time around, we were excited to be there for a holiday spent under the Parisian sun. First and foremost - when planning a trip to Europe, avoid the temptation to visit seven countries in seven days (yes, this is actually possible) and choose just one city as a base for your week of exploring. You've heard this before, we know, but as two girls who've lived through intense travelling for weeks on end, take our word for it! For us, Paris was a much needed respite after doing exactly this. As we'd visited the city on numerous occasions already, we were relieved of the pressure to visit every single monument (which, by the way, really does take an entire week, and you'll still only feel like you've scratched the surface!). Instead, we'd recommend a healthy mix of complete touristing (make a list of places you want to go, then halve it!) with some more authentic Parisian experiences. Late in the evening, we arrived in Paris sleepy eyed and exhausted from a day of airports, trains and taxis. However, as we emerged from the metro station that familiar feeling of wanderlust and excitement took over as the Parisian streets appeared before us. With Notre Dame to our left, we crossed Pont Saint-Michel over the Seine and suddenly wheeling our suitcases over cobblestoned streets wasn't such a pain. After dropping off our luggage, we found our way to a local crepe stand and in no time had polished off our citron et sucre crêpes... Indeed, our first meal in Paris was true to form. We began the first of our seven days like many have done before us, with a trip to La Tour Eiffel. Close up or from afar, we can definitely understand why it's Paris' most iconic monument! We promise that you'll be pinching yourselves when the city lights up in the evening and you glimpse the Eiffel Tower beginning to sparkle for the first time (it will continue to do so on the hour, every hour). As you can imagine, this monument can be seen from many vantages throughout the city. A memory that comes to mind was when the sparkle caught our eyes en route to dinner. This short glimpse gave us a fresh hit of appreciation - you can't forget where you are for longer than a second in this city! However, for a close-up view and your token tourist snap, we'd suggest catching the metro to Trocadéro Station as opposed to the closest station, Champ de Mars, as this will ensure you don't endure the incredibly anti-climatic experience of walking toward the monument without actually being able to see it! Walking from Trocadéro guarantees consistently beautiful views not only of the Eiffel Tour but also of the Jardins de Trocadéro and the Seine! There's also something particularly amazing about walking toward the monument over the Pont d'Iéna as you can see the Eiffel Tour grow before your eyes! We wandered around the area for what felt like hours, taking it all in before jumping on the metro to explore The Avenue des Champs-Elysées and do a little shopping. It wasn't long before we'd made some purchases and indulged in mouthwatering macaroons from Ladurée. As we neared the end of this famous shopping strip, the Arc de Triomphe appeared before us. The view from this monument is unbeatable, providing a 360 degree panorama over the city. For us, this vantage is a personal favourite. After all, what’s a postcard snap of Paris without the Eiffel Tower in the background? Ultimately, if you're willing to climb the many, many winding stairs to the top, you won't be disappointed. After conquering a significant number of tourist focused to-do’s, we headed back to our apartment to readied ourselves for a night out with a few of our Parisian friends. Always a pleasure, we let them plan the night and met at Café Montorgueil for a cheese board and some wine. We later found ourselves in heaven at our next location, the rooftop bar named ‘Le Perchoir Marais’. This sky-bar offers panoramic views of Paris and had us in genuine awe as we watched the Eiffel Tower sparkle in the distance. We promise that you'll be enjoying your glass of wine in the company of Parisians, far away from the city's overpriced and overcrowded tourist traps! Like many of the city's most impressive venues, you wouldn't know it existed simply from it's exterior. The entry to this location is via the BHV Department Store, right nearby the Hôtel de Ville metro station. While the drinks can set you back a little more than usual, it's 100% worth a visit if you're feeling indulgent! The following day, we ventured up a set of never-ending stairs to view La Basilique du Sacré Cœur and explore the artistic Montmartre (we wouldn’t recommend falling victim to the artists on the hill charging 70 euro for a dual self-portrait… learn from our mistakes!). After a beautiful morning visiting local art shops and losing ourselves among the cobblestoned streets, we headed back down the hill to catch up with a friend from home who had moved to Paris to dance in the Moulin Rouge. He recommended a local café, Cuillère, near the Place des Abbesse Metro Station. For anyone staying in Montmarte, we’d recommend this local pick as quality coffee isn’t always easy to find! 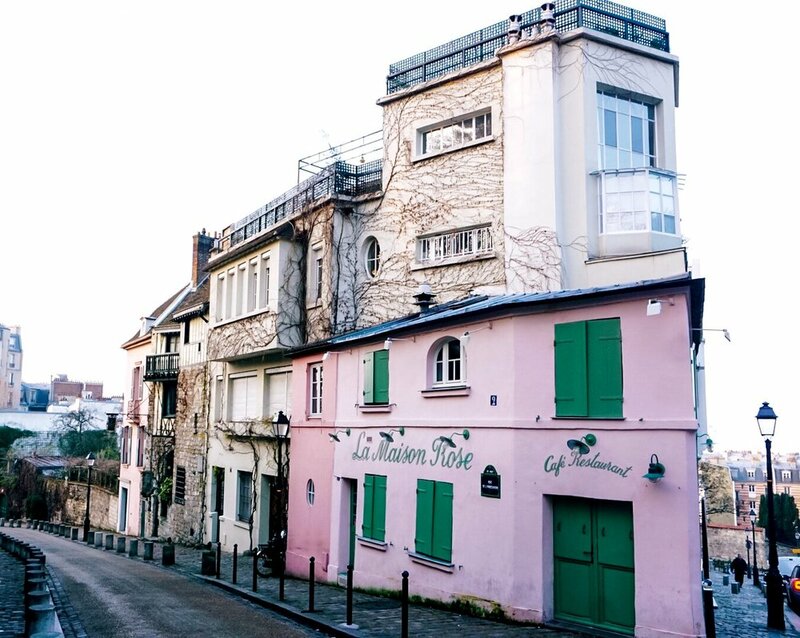 We’ve also been told that Le Café Noir is another great location for coffee or happy hour in Montmarte. Next on our list was a day of shopping, so naturally, we went to Galeries Lafayette for some retail therapy. Visiting this luxurious department store is a must do! Boasting an ornately designed and embellished interior by architect Georges Chedanne, this retail haven seems more like a cultural experience than the location of your average shopping day! It's safe to say, it takes strong willpower to walk out empty handed... (We certainly didn't). The surrounding streets also provide some amazing boutique stores, alongside the department store giants like Zara & H&M. While in the area, we’d also suggest stopping by Palais Garnier, a delicately designed opera house that is (in our humble opinion) similar in grandeur to the Galerie des Glaces in the Château de Versailles. Also within walking distance is Place du Marche Saint Honoré, a beautiful street market that also has great cafés and promises authenticity. Later that night we walked to our favourite local cheese and wine bar, Chez Nous, and did our best to keep our English speaking to a minimum as we ordered a cheese board and a glass each of the recommended wine. 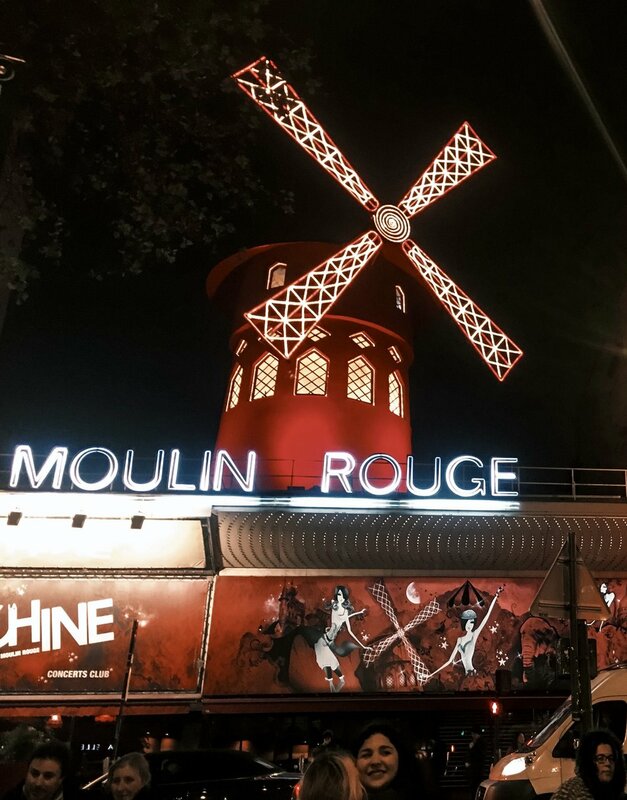 We then jumped into an Uber and made our way to the Moulin Rouge, to see a late performance of the Féerie Show with dinner and champagne (please do yourselves a favour and consider indulging in tickets, it truly is jaw-dropping!). Later, we decided to venture out and see the Parisian nightlife in action, meeting some friends at Manko and finishing up the night with a dance at Matignon. Our next day was adventure filled, with a trip to the Palace of Versailles, a destination easily accessible from Paris via train taking a little over an hour. Although in peak season we'd suggest booking ahead to avoid waiting in line for more than an hour! You'll want to spend a fair amount of time exploring the palace and the spectacular gardens so prepare yourself for a big day of history and walking with an informative audio guide in hand. For us, the Galerie des Glaces was the most magical part of the palace - imagine hundreds of mirrors reflecting a hallway of chandeliers, complemented by the natural light streaming in through floor-ceiling windows. After an inspiring day spent at Versailles we caught the train back home to Saint Michel, changed into something a little dressier and met a friend at Chez Nous. This time, we selected a bottle of wine to go, three glasses and made our way across Pont Neuf to celebrate the summer in true Parisian style, with friends along the Seine! As for dinner, we ventured to Le Marais, a very local and high end area of Paris. As is always a bit of fun, we let our Parisian friend order for us…unfortunately, the foie gras wasn’t such a hit, but the pasta and sashimi didn’t disappoint! We’d also recommend wandering around the area during the day and enjoying a relaxing picnic in Places des Vosges. With a few more tourist attractions on the list, we spent the next few days soaking up the history and beauty of the Museum D’orsay, the Grand Palais and the Louvre Museum. We enjoyed far too many espressos and croissants in between and often started our days at the nearby cafes in Saint-Germain-des-Prés or enjoying some downtime in the Shakespeare & Co Bookstore in Saint Michel. One particularly beautiful afternoon, we found ourselves enjoying sunset drinks on the Seine at Flow Paris and couldn't help but find ourselves many hours later at the upstairs club! If you’re interested in seeing the glitz and the glam of Parisian nightlife firsthand, we’d definitely recommend enjoying a glass at L’arc or Plaza Athénée, la crème de la crème! L’arc nightclub is arguably Paris' most exclusive venue. Owned by Lenny Kravitz, this club is a hot spot for the rich and famous and if you're planning on a big night out, dress to the 9's and do it here! With VIP areas constituting about 80% of the venue, your safest bet for a large group is to purchase a table in advance. Otherwise, try your luck at the door! Another recommendation is a nightclub named Baron, the perfect location to let your hair down and enjoy some classic tunes! Although, for a more eccentric and eye-opening nightlife experience, the Cabaret night at Manko is certainly a lot of fun. We’ve also heard amazing things about Monsieur Bleu, located inside a modern art museum (Palais de Tokyo) on the Seine, boasting delectable dishes! All in all, our week in Paris was something of a dream. 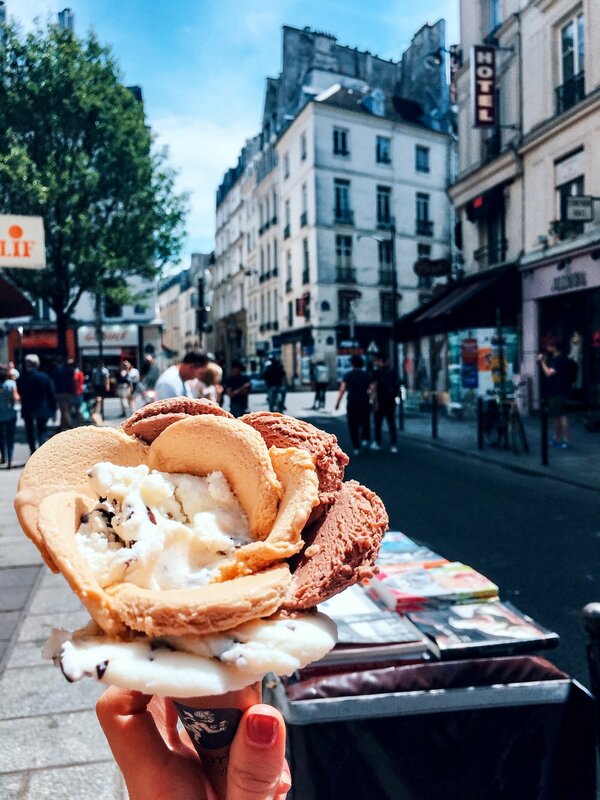 There is nothing quite like a holiday under the Parisian sun and we can assure you that this city is one of the most photographed in the world for good reason. Our only advice would be to immerse yourself in the culture as much as possible, filling your day up to the brim with adventures (very possible considering the 9:00pm sunset!) 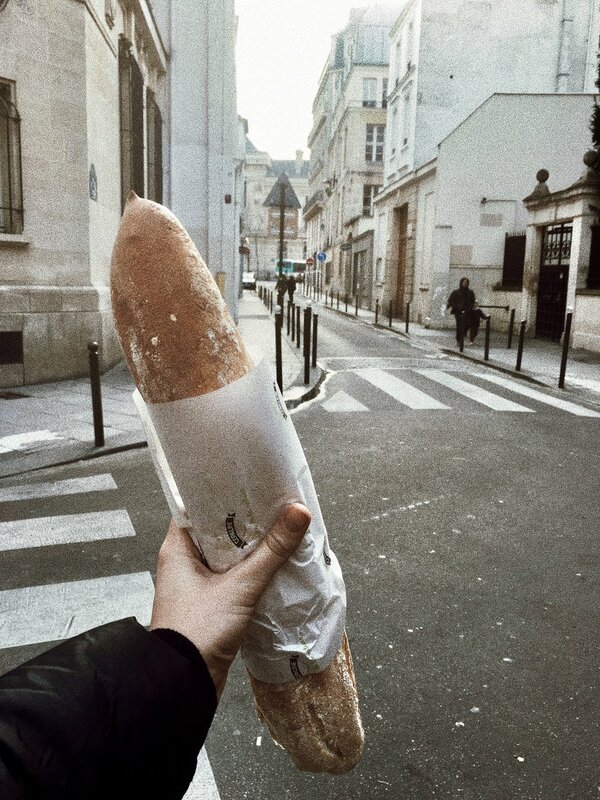 and living like a true Parisian. 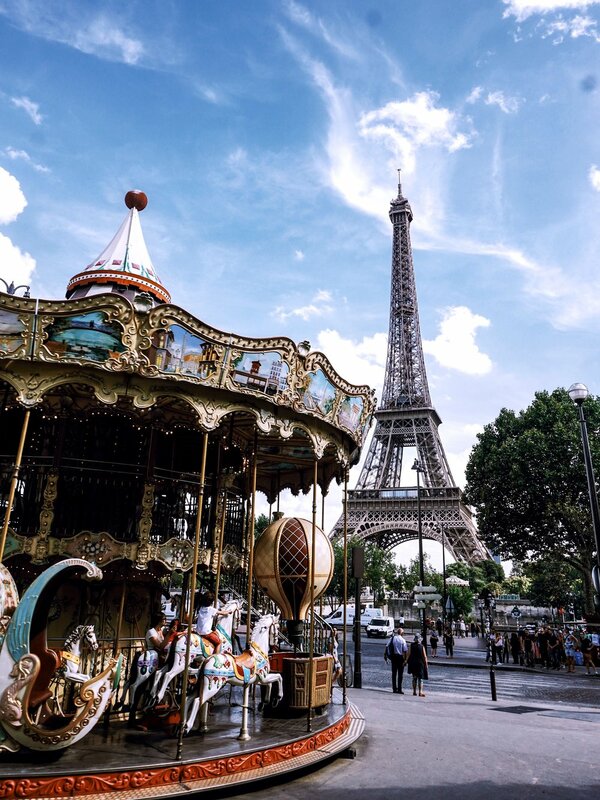 We truly hope that after reading this, Paris is as endearing to you as it is to us!